Senior dating has become commonplace nowadays due to the high divorce rate in western countries - when over 50% of all couples are divorced anyway, what can we expect? Of course, a growing number of senior singles are looking for love again. 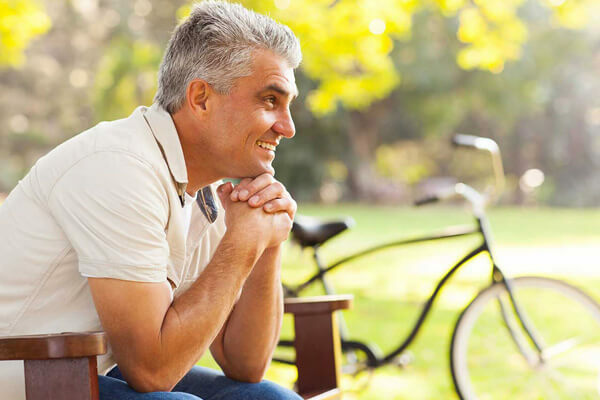 Well, as single older men and single older women are back on the market, we've received many enquiries regarding the expectations of single older men because women are more likely to ask questions and express their concerns. Therefore, we've decided to clarify what older men want in terms of senior dating now. There are many more single older women than single older men. Statistics show that before 54 years old, there are equal numbers of single women and single men, but after 55 years of age, there are many more single women than single men. Clearly, it's harder for a single older woman to find a partner as she grows older and older. That actually means for a single older man, he has many more options! Thus, he has the right to choose a woman who can meet his expectations. Single older men want honest women who aren't passive aggressive. Because most older men have had a lot of experience in life, they can identify a dishonest woman quite easily. As a result, when we look at dating for seniors, we can see that passive aggressive women aren't high-value at all. For instance, when a woman comes back home from work and her partner is sitting on the couch and working on his computer, she can become passive aggressive as he has been focusing on his work and hasn't paid much attention to her for three days. As a consequence, she looks grumpy and even slams the bedroom door. In fact, high-quality men find that really annoying and freaking useless. Alternatively, she can also directly say, "Hey, you haven't given me a hug for three days, so I think you should give me a hug now!" In this way, the guy will feel more connected to the woman because she is honest and isn't playing mind games with him. Consequently, women who become passive aggressive in dating and relationships can't be winners in senior dating. Remember: honesty is the best policy for senior singles. That also means you should never lie about your age as lying about your age means you feel insecure because of your age. A good book that I recommend is Dr Christiane Northrup's Goddesses Never Age. High-value men dating older women prefer energetic women who put themselves first. When I say 'themselves', I mean these women. In other words, these women put themselves first, not their men first. Honestly, if you don't put yourself first, sooner or later, you'll feel jaded and won't have any energy to share with others or look after others. That is why putting yourself first is so key! Single older men have had romantic relationships in the past, and when they were younger, they have probably dated women who put their men first, thereby causing pain and conflicts in the long term - this sounds counterintuitive, but it's true: When a woman puts her man first, her happiness is determined by what he does, which means she is not responsible for her own happiness and her life is in another person's control. So, if you are a switched-on modern woman who wants to find your Mr Right on a senior dating site, please make sure that you always put yourself first so that you can have the energy to love your man!